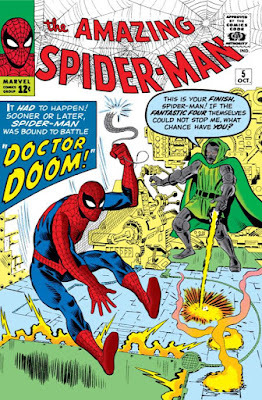 Doctor Doom attempts to recruit Spider-Man, but instead accidentally kidnaps his biggest fan, Flash Thompson. DUY: Not the first Betty Brant, but the first time we see feelings developing between them. 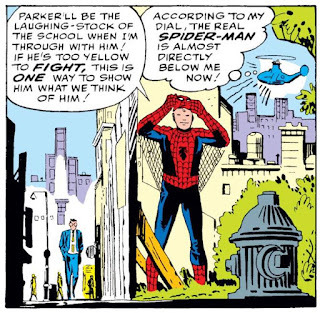 BEN: Second use of a “fake” Spider-Man, with the first one being the Chameleon in the first issue. DUY: First sighting of the iconic half-face, since last issue was a half-face-and-torso. 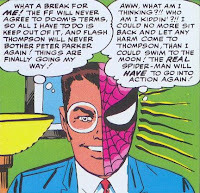 Apparently the half-mask is also because Stan wanted Spidey to show up as often as possible, so in sequences where Peter is in it too long, he'd add a half-mask when applicable. BEN: Flash loving Spider-Man as much as he hates Peter is a great angle. Something they’d later use with a romantic spin with the Black Cat. DUY: "It was just a Doombot" has its beginnings here, I think. DUY: I mean it might be Fantastic Four, but still, this is a really early instance. He talks to Doom for a whole page before realizing it's a robot. They wouldn't use it as a plot device to retcon stuff for a while, but I'm surprised it took a while. DUY: So Jameson owns a newspaper, a magazine, and has his own TV show? 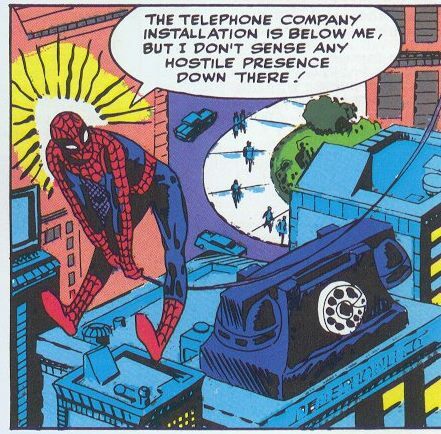 Also why didn't they just use stock footage of Spider-Man from his entertaining days? It's stuff like this that makes me wonder how much of this was well thought out and how much of the good stuff was accidental. BEN: Also, in the age of smartphones, there would be hundreds of videos and pictures of him already. DUY: Also, why does Peter Parker wear a suit and tie to school?? BEN: I assume that’s how Ditko had dressed since he was 3 years old. 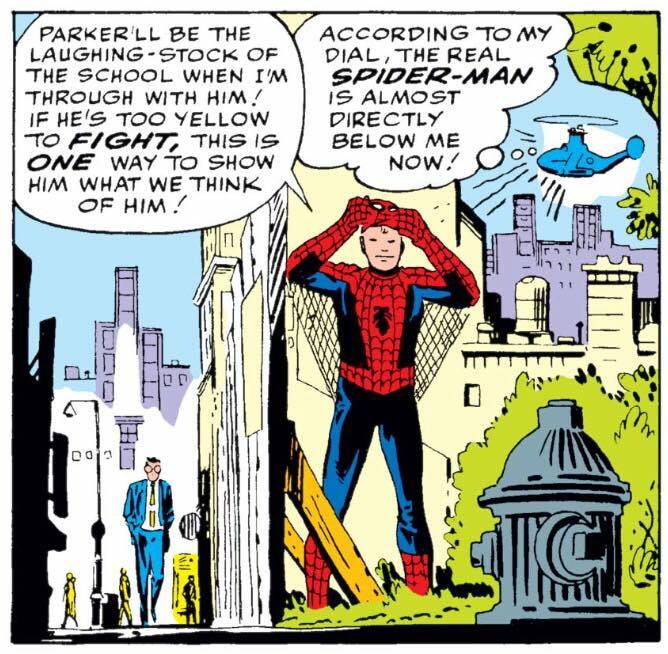 BEN: Piggybacking off what you noticed, that clearly wasn’t the first footage of Spider-Man. He was a TV sensation. DUY: Spider-wave transmitter? 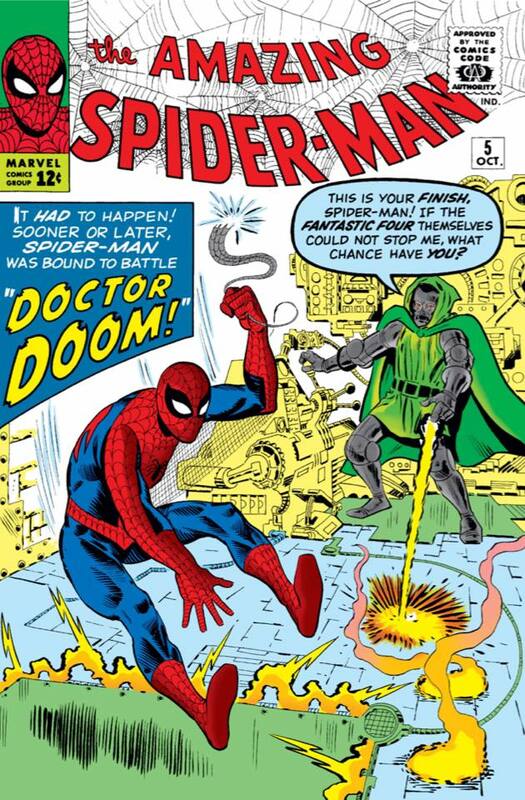 I think Dr. Doom has had better inventions. DUY: The telephone company having a gigantic telephone display makes me laugh. BEN: Flash hiding behind the fence like a Looney Tunes character is what has stuck with me from this one. BEN: I guess I have to go with Flash Thompson. I know he’s a bully and we’re supposed to hate him, but he’s such a dumbass. DUY: Yeah, it's Flash. I want to give it to Doom, but this is way too low-key for Doom. 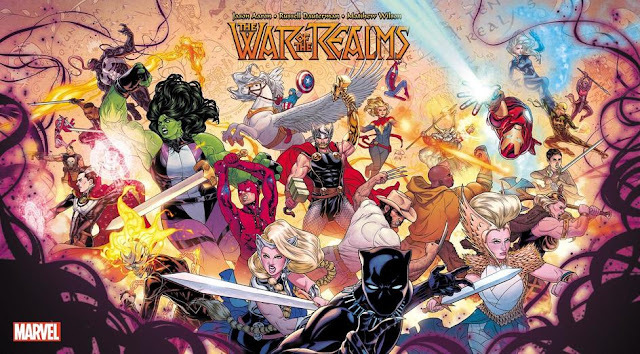 And this is also where I think Marvel really starts differentiating itself from DC. DC's top guys in their universe are the same top guys in real life. Marvel's top guy in real life is Spider-Man, and he's small potatoes in this universe. BEN: My favorite hero against my favorite villain, and yet it seems so...average. Doom must have been really bored that week. BEN: Judging by the letters page, it seems like #3 is where most fans thought the comic hit another level of greatness. DUY: That was probably the best one so far, but it's still a far way from being complete. 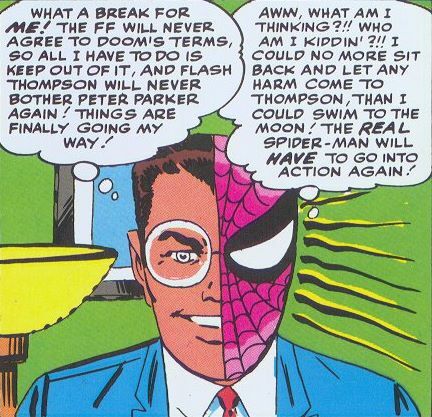 Again here, Spider-Man at least considers not saving Flash Thompson. He basically ends up saving him because he can't live with himself if he doesn't. Still no mention of Uncle Ben. BEN: I know the money is a consequence of Ben dying and they probably assumed we remember he died, but it still seems so strange since later on in the series it gets rehashed in every issue. I don't even think he's mentioned Ben's name the entire series. DUY: He did in issue 1, and something about how he wasn't able to save him, which isn't the same as being able to prevent it. And that's weird they would assume we remember he died though, or how... it's not like comics were constantly reprinted or available just about everywhere. And didn't Marvel's distribution affect where they could be seen back then? BEN: A fan in the letters column even asks if they could provide the on sale info, and Stan basically says "there’s no way to tell."